While we wouldn't necessarily want to revert back to the 1950s, there's no denying the decade played an important role in design history. Between midcentury furniture designers from George Nelsen to Charles and Ray Eames to architects like Frank Lloyd Wright and Pierre Koenig, it essentially redefined how we viewed the home in its most functional sense. Separately, women were joining the workforce like never before. Fictional characters like Peggy Olson in Mad Men showed us exactly how many hoops women had to jump through to achieve success. 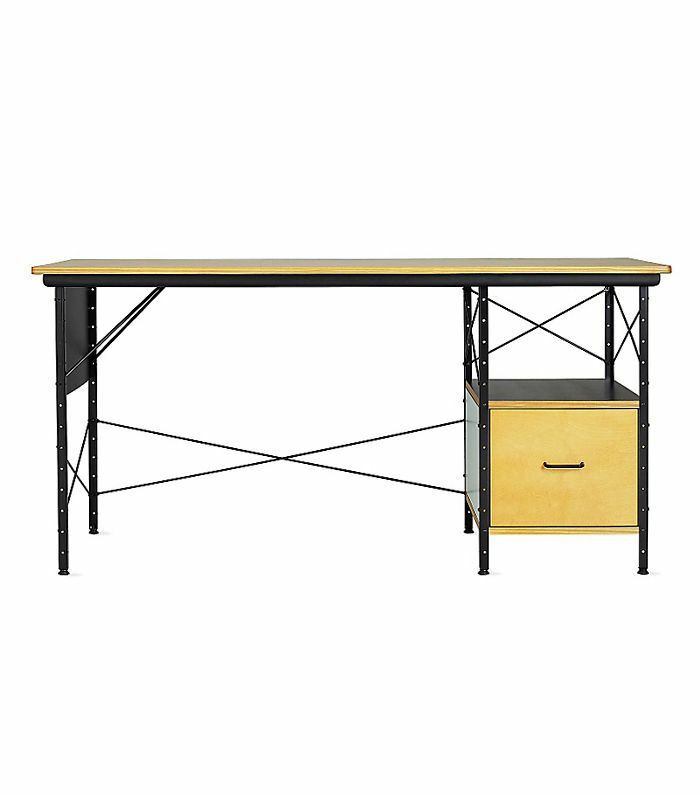 So if you're looking for a desk to upgrade your workspace, consider midcentury-modern desks. Not only are they stylish and functional, but they'll be a constant reminder of how hard women before us worked to get to where we are today. George Nelson's iconic Swag Leg Desk was designed in 1958, but it was reintroduced in 2007 featuring a cable management grommet to suit modern needs. 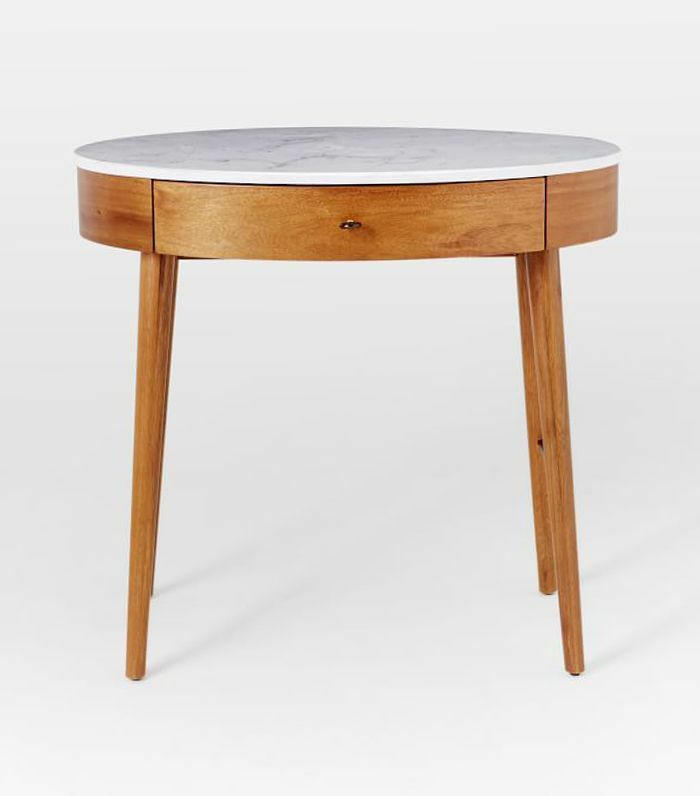 A round midcentury-inspired desk with a marble top—this might be one of our favorites for both style and price. 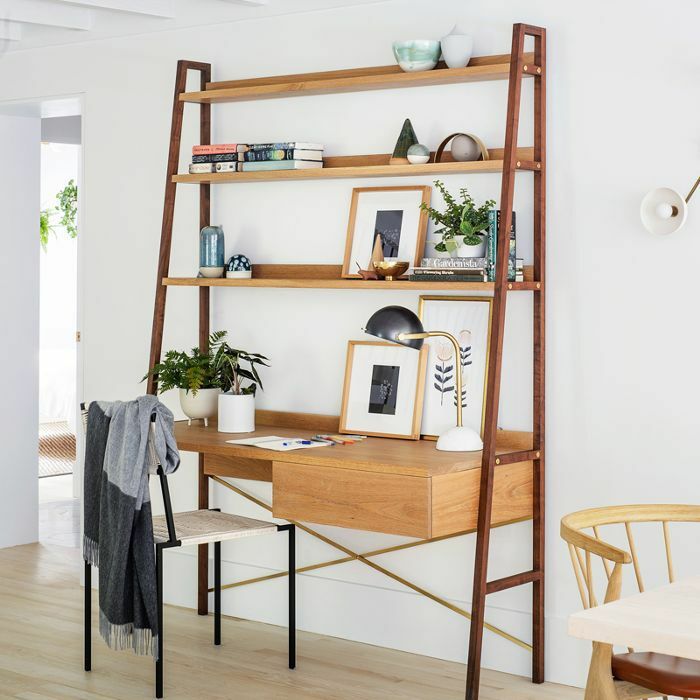 Return to the days of wall-mounted bookshelves with this stylish Blu Dot Hitch bookcase desk. 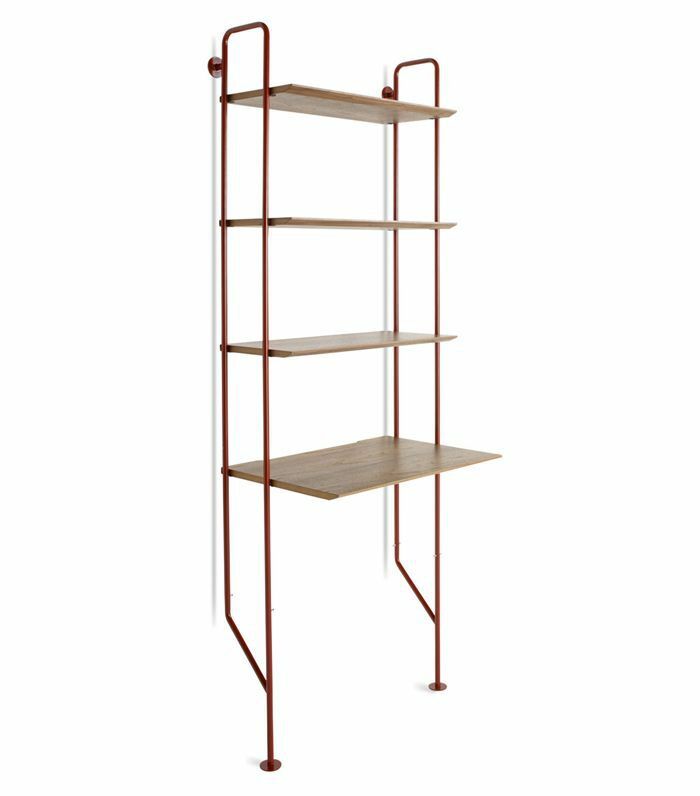 It can also be combined with other shelving units. 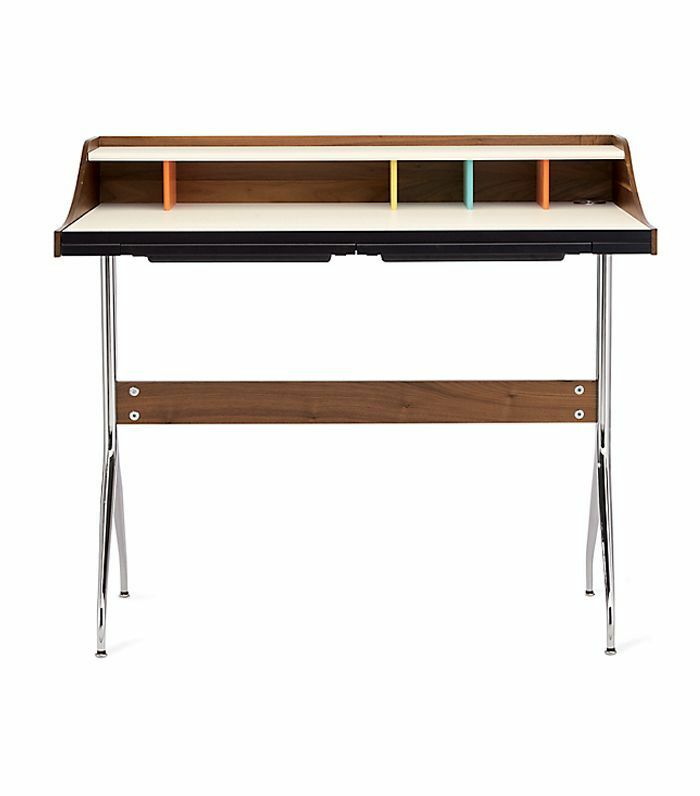 Originally designed in 1968 by Jens Risom for its New Canaan, Connecticut, house, this small-space desk features a beautiful leather top. 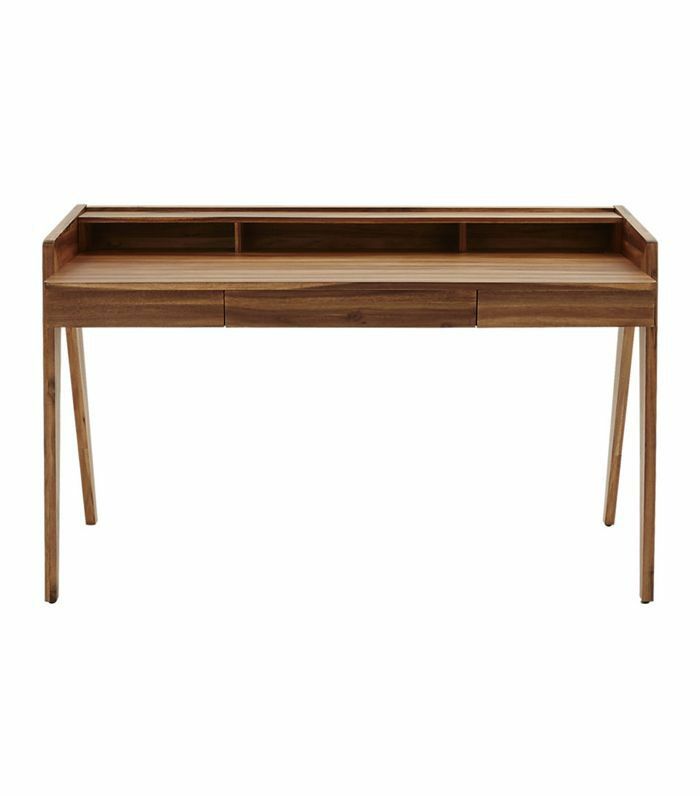 West Elm's modern desk embraces midcentury lines in a more contemporary manner and provides plenty of surface space. This Pierre Paulin–inspired desk stems from the 1950s and is quintessential midcentury, with its built-in storage drawers. 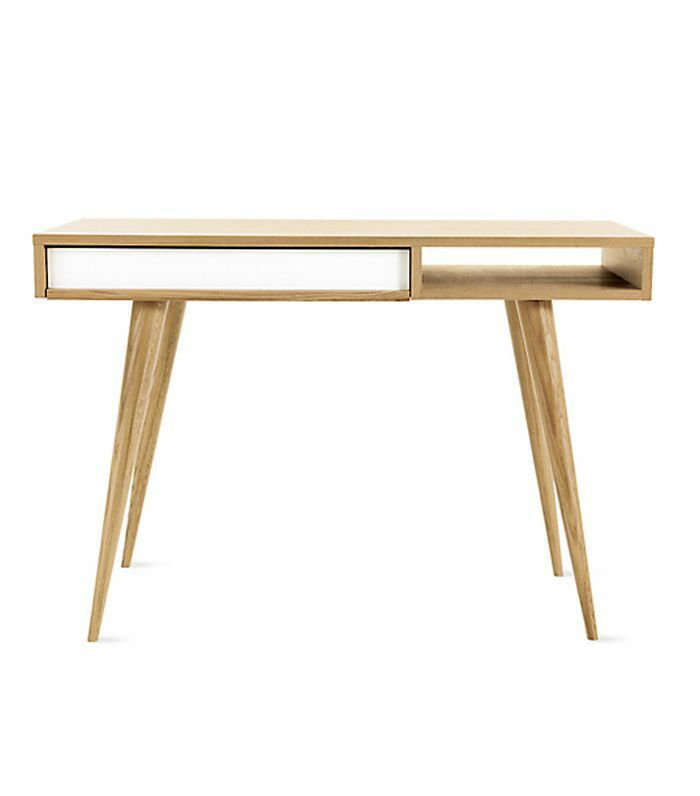 This Case Celine desk may have been designed in 2008, but it embraces midcentury proportions and shapes with its tapered legs and blond wood finish. 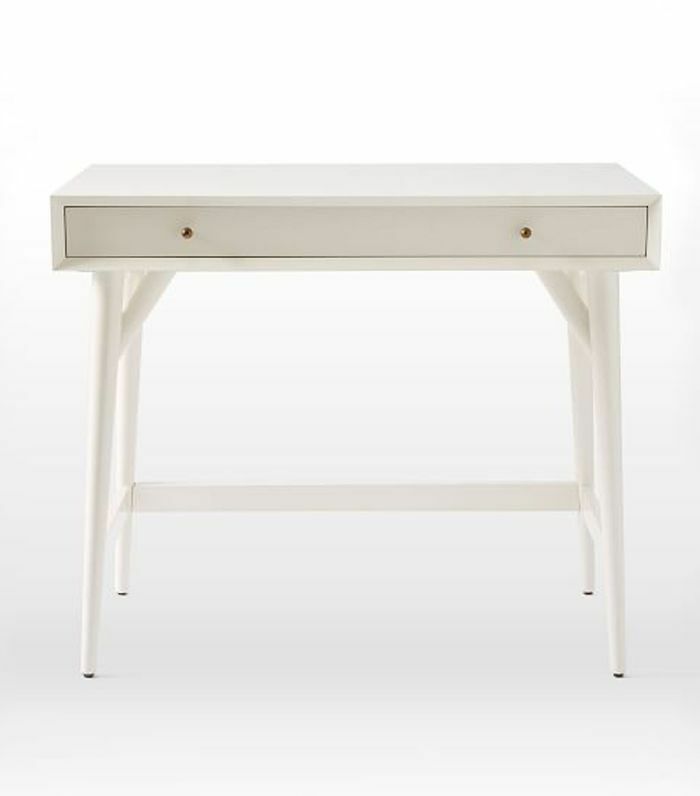 Only have space for a desk in your entryway? 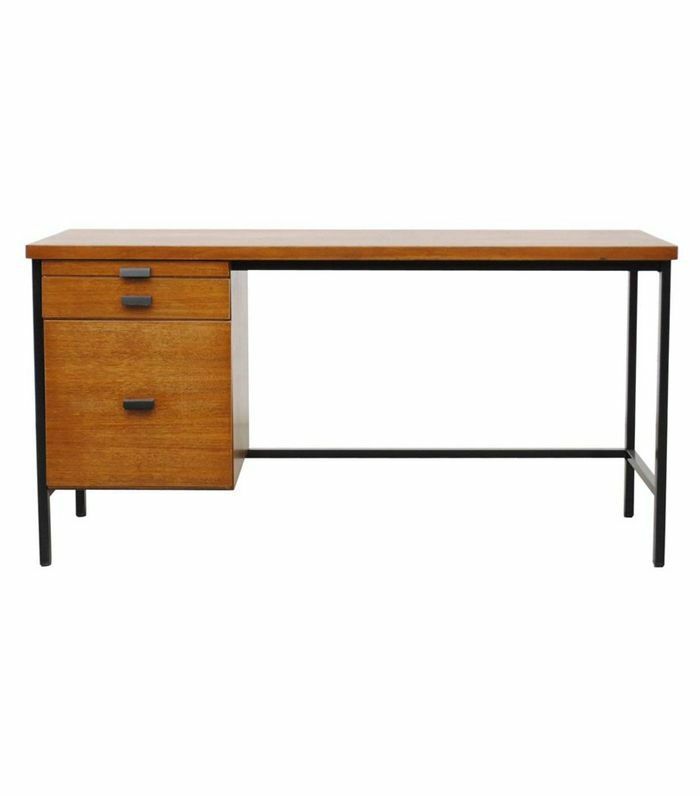 This midcentury secretary desk is perfect for the task. 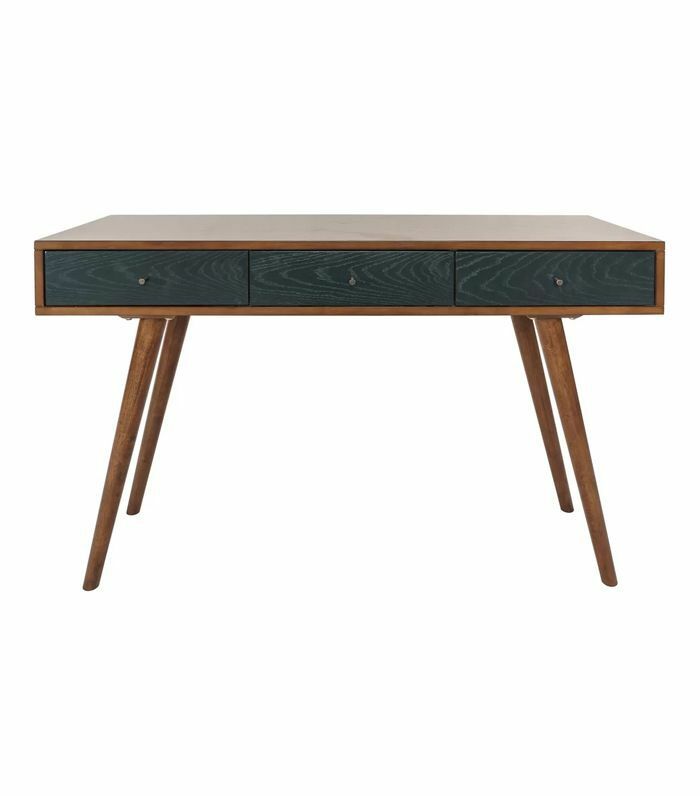 This chic midcentury desk features contrasting navy blue drawers to create an elegant and eye-catching color palette against the pecan wood finish. 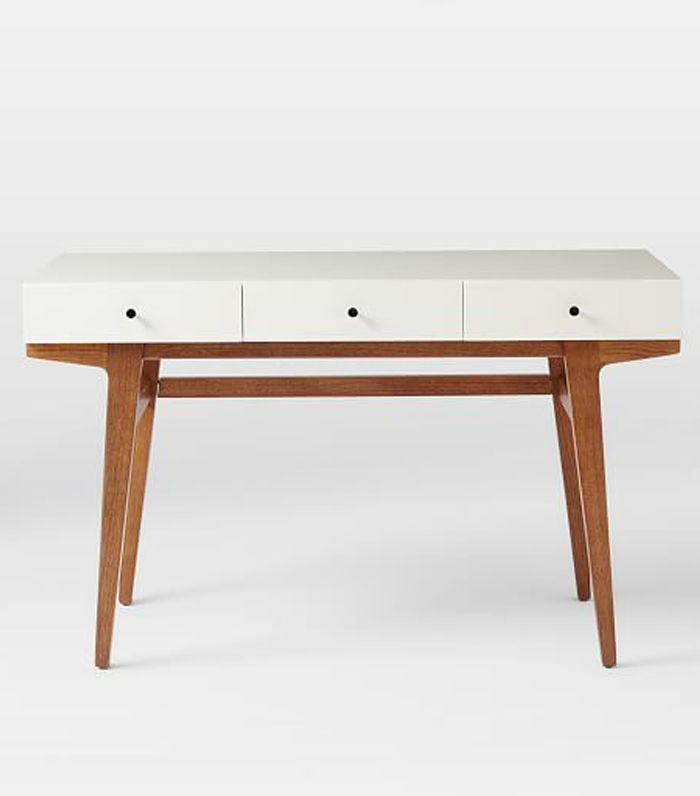 This George Nelson–designed X-Leg table stems straight from the 1950s and is so iconic that it is still produced today. 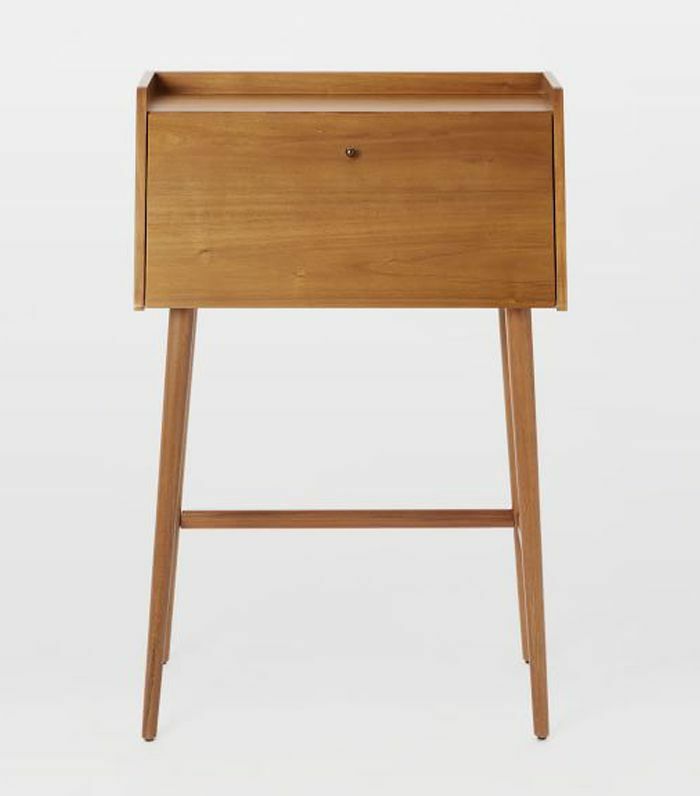 If you have limited space in your apartment, West Elm's midcentury mini desk virtually blends into the décor. 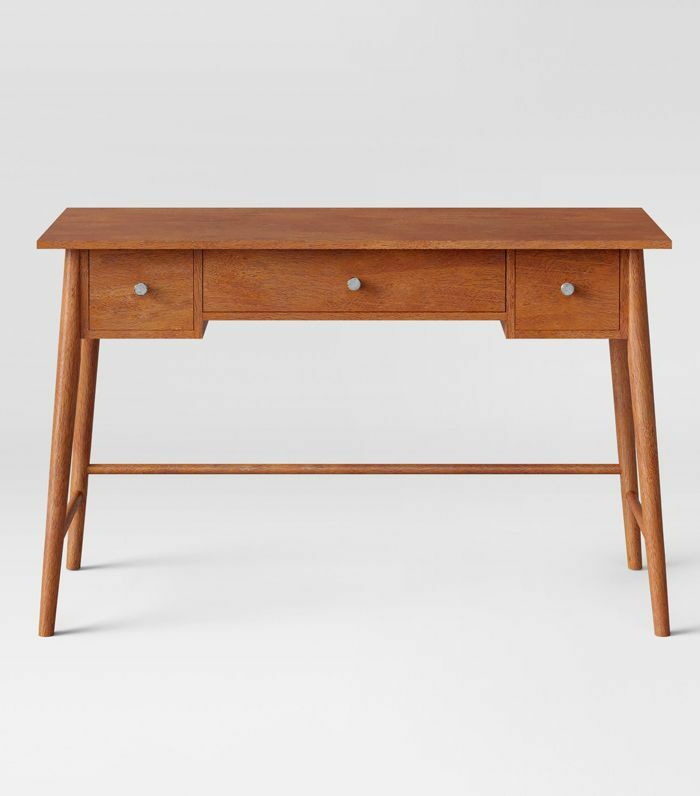 Count on Target to provide midcentury-inspired desks at a fraction of the price. Case in point: this wooden writing desk. It doesn't get more midcentury than this Eames desk designed in 1952. It's available in two color schemes. 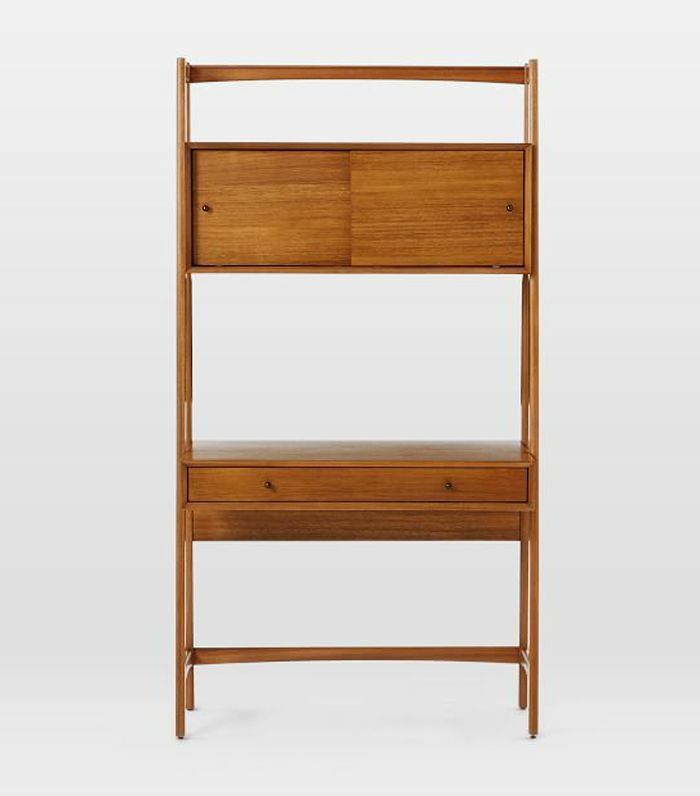 Channel your inner Peggy Olson with this tall bookshelf desk from West Elm's midcentury collection. You'll even have extra storage space. 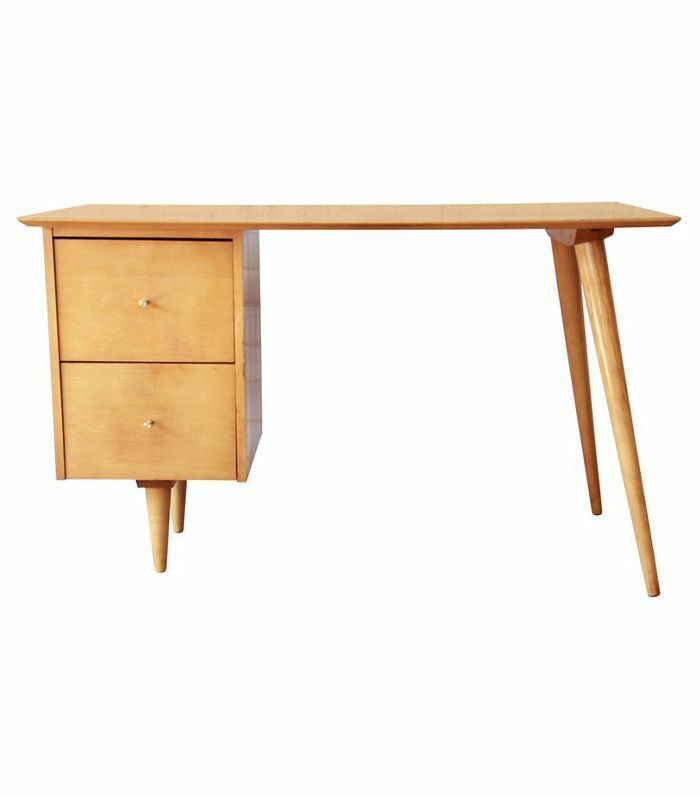 Looking straight out of a Jetsons episode, this Paul McCobb desk was manufactured in the 1950s with a futuristic edge. 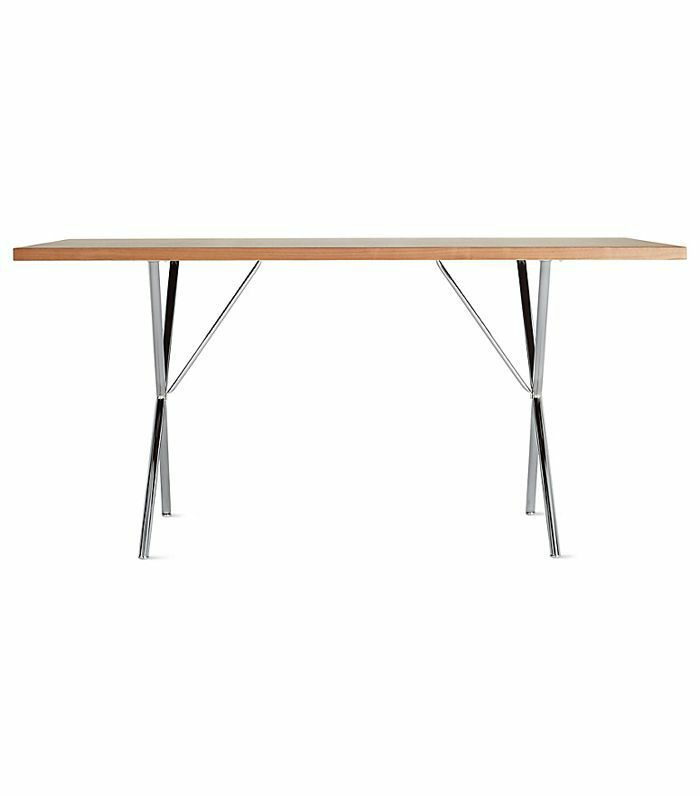 Next up: 14 minimalist desks that will boost your productivity.